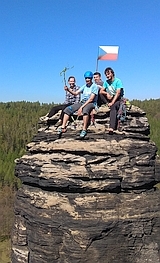 Adam Ondra won the World Cup competition in lead climbing in Kranj, Slovenia, and the overall World Cup in lead climbing for the season 2015. 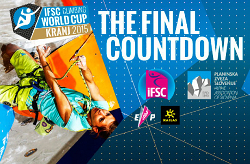 Result of World Cup in Kranj 2015 on IFSC site. On W.Cup in Kranj fight Slovaks without Czechs - W.C.